We have officially entered 2017 so we thought we would list some of the top reasons as to why visiting Washington DC should be top of your New Year’s Resolutions! Our great city promises to be a place worth visiting in 2017 so we thought we would compile a list of reasons as to why you should put Washington DC at the top of the list for places to visit. All you have to do is find your reason to go! 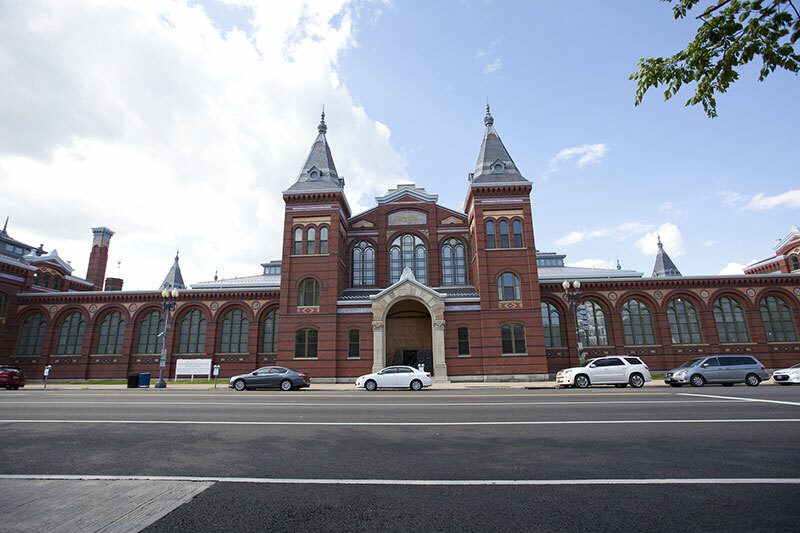 The Smithsonian National Museum of African American History & Culture – We wrote a piece some months back about the impending opening of this new museum and it has since opened much to the delight and interest of the public. The museum is the first of its kind and is devoted to the documentation of African-American life, culture, history and art. There are hundreds of exhibits as well as educational programs on topics such as slavery. The Presidential Inauguration – Whatever your political views, the Presidential Inauguration promises to be one of the biggest yet. Visit DC during this time and you can become a part of history and tradition and best of all the festivities are free! There will be the Inaugural Address and of course other traditions such as the Inaugural Parade as well as various balls and galas. Additionally, a women’s march will also take place on January 21st to highlight women’s issues within the US. The Opening of MGM Casino – Not everyone likes to gamble but for those of us that like an occasional roll of the dice then the opening of MGM Casino at National Harbor promises to be an exciting development. The billion dollar Las Vegas-style casino is now open, so if you are planning a winter trip then be sure to pay the 24-story, 308-room resort a visit. There is plenty to do and see here aside from gambling! Dining Out in DC! – The DC food scene is flourishing now more than ever with new restaurants regularly bursting onto the scene. A particular establishment that continues to impress in the DC area is Masseria just around the corner from the Union Market. Some other fantastic options would be Ben’s Chili Bowl, The Dabney and Bayou Bakery. There are too many to name so have a look around Google for some places that cater to your tastes. Mount Vernon – We cannot mention places to visit without mentioning Mount Vernon. You can get there in 30 minutes (we also offer bus tours to this location) and this is originally the estate of George Washington who first moved here in 1754 and eventually passed away in one of the bedrooms in 1799. Some of the views are magnificent and you can completely explore the estate. If you are visiting DC for the first time then this is a must. No Shortage of Accommodation – Visitors to the city will have no issues finding places to stay and more than 5000 hotel rooms are expected to be open in DC within the next 2 years. If you are looking for a picturesque place to spend your visit then Georgetown is always worth it and there are plenty of hotels and apartments to choose from. As always, have a shop around the web to find the best accommodation deals. So why not find your reason to go this year? We’ll happily show you around the city and share our experience with you.